Hate paying extra luggage fees? Stop giving more money to the Airlines with this Super Scale! Nothing kills your holiday mood like unexpected baggage fees at the airport. Beat airline baggage fees by weighing as you pack. If your wheelie is looking decidedly stuffed the night before you travel, you could save yourself a pretty penny by double-checking the weight while you’ve still got time to take out those extra layers or second pair of heels. Balancing a suitcase on bathroom scales can be tricky, but portable luggage scale is all you need – and this way, you can pack your very own weight monitor for the return journey, too. 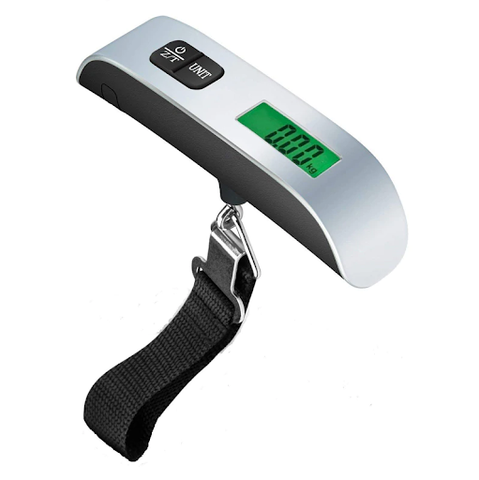 At the convenience of your home, this luggage scale enables you to check the luggage weight and best of all, maximize weight limits. Simply attach the buckle strap onto the luggage handle and watch it immediately display its weight on an LCD screen! The luggage scale is a perfect companion for travelers that also enjoy minimal, stainless design!